With a built in Super G3 modem and a huge automatic document feeder, the Canon Copier ImageClass MF5770 has a few special features to offer buyers looking for a 5 in 1 device from Canon. That being said, this MFC suffers many of the same fallbacks that the other printers in Canon's MF series do, such a limited copy resolution, low toner yield, and a print speed of 21 pages per minute. With a 50 sheet automatic document feeder incorporated in the convenient flip top, flatbed lid, users can load up the Canon Copier ImageClass MF5770 with large stacks of material at one time and sit back while the machine does all the work. Copies, scans, and faxes are all compatible with the built in ADF, and it can even assist in making oversized scans that are too large to fit on the platen document glass. Thanks to a build in CCD scanner, optical scans up to 1200 x 2400 dots per inch are entirely possible at a rapid rate, without the use of optimizations. For even higher resolution, users can rely on the slow but thorough interpolation function that can scan as high as 9600 x 9600 dots per inch. Both TWAIN and WIA are compatible with the unit. Though scan resolution runs high, but copy quality is sadly very low and tops out at only 600 x 600 dots per inch. This is the problem seen throughout this series from Canon and it severely limits the device's usefulness when high quality copying is a priority. 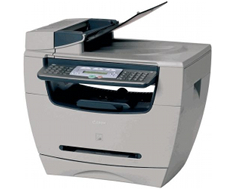 The Canon Copier ImageClass MF5770 has both a print and copy speed of 21 pages per minute, which is a little less speedy than we would like to see in a professional level device that includes networking. Though an Ethernet port is made available on the device, with print speed that is not up to par, traffic jams may occur due to simultaneous user demands. The device comes complete with an easy to use 250 sheet paper drawer, but supports a very small range of paper thicknesses which include 17 to around 33 lb paper for the automatic tray. The actual weight of the unit itself is only 31.3 pounds, which is about average, but its footprints of 19.1"(W) x 18.8"(D) x 20.0"(H) with attachments and 19.1"(W) x 18.8"(D) x 17.4"(H) without attachments is probably a little large, even for a network unit with a built in fax feature. Review it: "Canon imageCLASS MF5770 "
Canon's single cartridge system is both a blessing and a curse due to the nature of the cartridges themselves. Though these cartridges combine the toner and drum unit into a single, easily replicable unit, the extra hardware causes them to sometimes be more expensive per page yield than other brands. 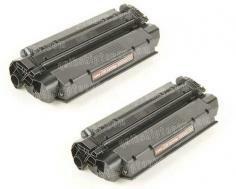 In this case, the Canon Copier ImageClass MF5770 does not support high yield toner cartridges, and offers 2,500 page yields on each consumable unit. 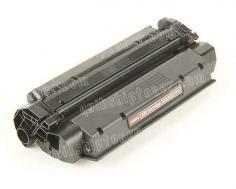 The printer itself has a maximum monthly duty cycle of 7,500 pages, which is very low as well.